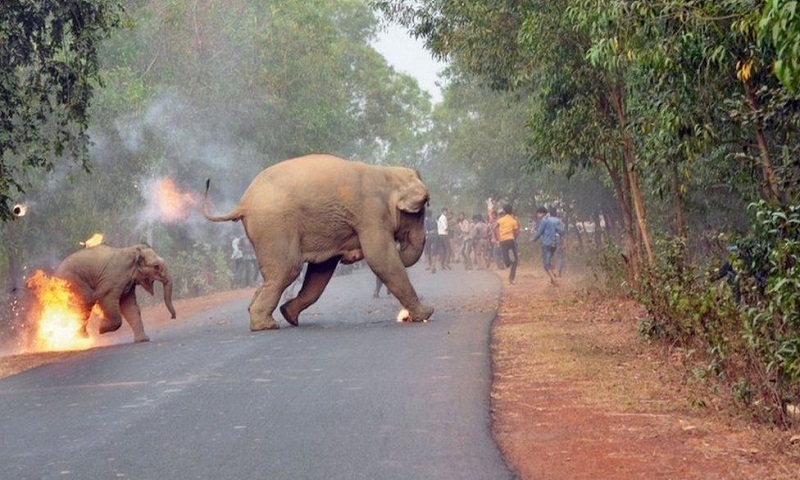 Hunt on for two who provoked wild elephant at brickkiln, The Forest Department has started a hunt for two men who provoked a wild elephant and shot a video of the same at a brickkiln, suspected to be in Coimbatore outskirts. Forest officials said that they are carrying out an extensive search in the Thadagam area where more than 100 brickkilns are functional. The 44-second video shows a man teasing and provoking a female wild elephant in a kiln. It starts with the man being chased by the elephant into a shed used for drying bricks. The man immediately gets out of the shed even as the elephant gets stuck. Then he provokes the wild animal by going close to it. Though the elephant attempts to charge, it ends up hitting its head on the horizontal concrete pole used for the roofing. Dhinakaran camp releases video of Jayalalithaa in hospital, On the eve of the R K Nagar byelection, the TTV Dhinakaran camp has released a video of former Tamil Nadu chief minister J Jayalalithaa in a hospital bed. In the footage, Jayalalithaa is seen in a nightdress, apparently watching TV and having a sip of juice. The footage was released by Dhinakaran supporter and disqualified MLA P Vetrivel at the Secretariat on Wednesday. “Lot of controversies are floated on the death of our leader. We have no option but to release the footage. We will not leave anyone who malign our leader,” Vetrivel said. He said the timing had nothing to do with the RK Nagar bypoll, which is necessitated by the death of Jayalalithaa on December 5, 2016. Muslims in Gujarat polls: Just a few candidates, tiny voteshare, The benefits of putting up a Muslim candidate in Gujarat are low for political parties, an analysis of election data show. 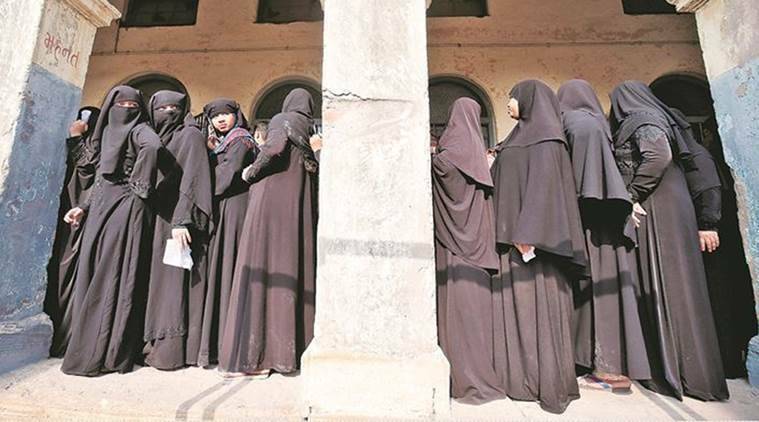 As per Census 2011, Muslims make up 9.67% of the state’s population; however, the 203 Muslim candidates, who constituted 11.1% of the total 1,828 candidates in the 2017 Assembly elections, together received only 1.6% of the total valid votes polled. The BJP, the dominant party in Gujarat for over two decades, put up a Muslim candidate each in the 1995 and 1998 elections, but none after that. Since 1990, the most Muslim candidates the Congress has put up has been 10 each in 1995 and 1998. Of the six Muslim candidates the Congress fielded in 2017, three won. Police teams rewarded in ATM robbery case, Police personnel from Coimbatore, Salem and Namakkal, who nabbed inter-State robbers involved in ATM theft, were rewarded by Director General of Police T.K. Rajendran recently. On December 9 midnight, three ATMs were burgled at Avinashi Road in Coimbatore and cash ₹.30 lakh was looted. CCTV footages were analysed and investigation was taken up on multiple fronts. Two cars with Haryana registration numbers and a truck were found to be used. The vehicles crossed through the toll plaza near Tirumangalam in Madurai district on two days – December 10 and 12. Further investigation into the CCTV footage at the toll plazas that the two vehicles were moving on National Highway 7 towards Salem on December 14. Declare Ockhi a national disaster, sanction 9,300 crore, CM Edappadi K Palaniswami tells PM, Tamil Nadu has sought a central relief package of 9,302 crore for relief and rehabilitation in the wake of the enormous damage it suffered due to monsoon fury. Chief minister Edappadi K Palaniswami, who took part in discussions conducted by the visiting Prime Minister Narendra Modi, told reporters here on Tuesday that considering the devastating impact of cyclone Ockhi, the state has requested the PM to immediately sanction 747 crore from the National Disaster Relief Fund. The chief minister said he had asked the Centre to declare Ockhi as a national disaster. Justice Karnan released after six months from Kolkata jail in contempt of court case, Controversies, and Justice C S Karnan go hand in hand. The judge, who whipped up a storm when he rebelled against the Supreme Court and the judiciary, was released on Wednesday from Kolkata’s Presidency Jail after spending six months behind bars for contempt. 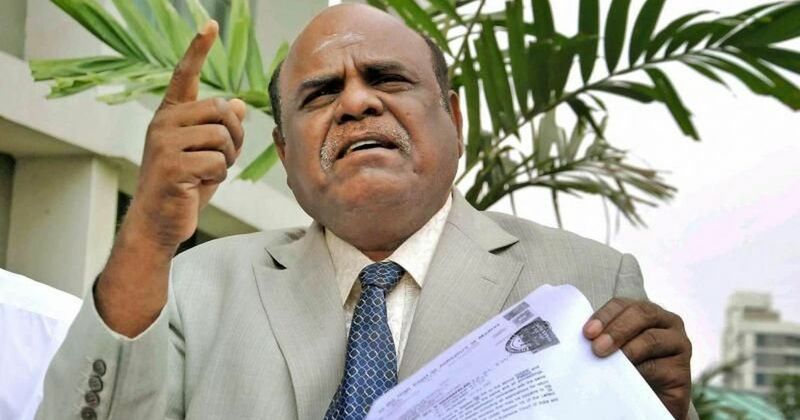 Karnan, who is the first sitting High Court judge to have been sentenced to jail, holds other dubious distinctions. In 2011, he became the first judge of a High Court to move the National Commission for SCs and STs, complaining of harassment by fellow judges. 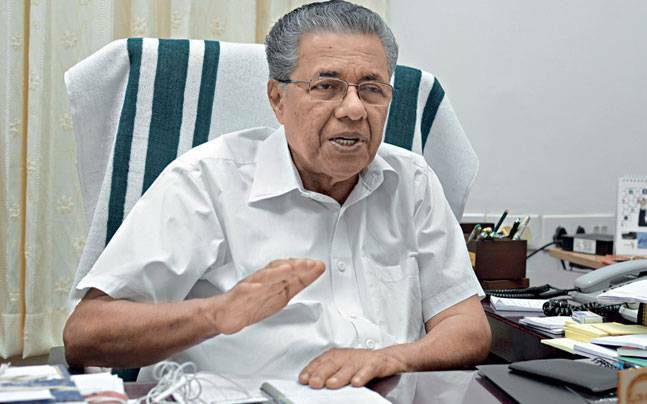 Pinarayi calls for public participation in tourism, Chief Minister Pinarayi Vijayan has called for the development of a tourism culture involving public participation to improve Kerala’s prospects as a tourism destination. Speaking after presenting the Kerala tourism awards for excellence in tourism 2015-16 here on Tuesday, Mr. Vijayan observed that tourists would feel encouraged to visit the State if the people treated them with respect. The Chief Minister presented the best in-bound tour operator to Kerala award to Intersight Tours and Travels, three-star hotel (Special Mention) award to Estuary Island, Poovar, four-star hotel award to Spice Village, Thekkady, five-Star hotel award to Kochi Marriott, five-star deluxe hotel award to The Leela Raviz, Kovalam, best heritage hotel award to Coconut Lagoon, Kumarakom, and best approved & classified Ayurvedic centre award to Somatheeram, Chowara. Misty Wednesday morning in Delhi, 15 trains cancelled, It was a misty morning here on Wednesday with the minimum temperature recorded at 9.6 degrees Celsius, two notches above the season’s average. At least 15 trains were cancelled, 20 delayed and two were rescheduled due to fog in several parts of northern India. “There was shallow mist in the morning and wind was calm. The sky will be partly cloudy during the day,” an India Meteorological Department official said. The maximum temperature was likely to hover around 24 degrees Celsius. West Bengal: Three poachers held, 8-feet-long leopard hide seized, THREE POACHERS have been arrested after an 8-foot-long skin of an adult leopard was seized from Phulbari in Jalpaiguri. The accused, Kumar Rai (75) from Bhutan and Kumar Rai (35) and Rudra Prasad Gelal (40) from Nepal, were arrested by the state forest department on Monday after officials found the leopard skin, which had fresh blood marks. The head of the department’s Special Task Force and Belakoba Ranger, Sanjay Dutta, executed the operation. “The three have been booked under the Wildlife (Protection) Act. We are looking for the kingpin, who has been identified,” Dutta said. They have been remanded to 14-days judicial custody. The racket is allegedly led by Pawan Khatak, from whose residence, 55 kg of black bear hair and 1 kg of elephant tusk was recovered last Saturday. Saudi intercepts Yemen rebel missile over Riyadh, Saudi Arabia on Tuesday said it shot down a ballistic missile over Riyadh fired from Yemen by Iran-backed Houthi rebels who announced that the target was the official residence of King Salman. Saudi Arabia and the United States have accused Iran of supplying weapons to the insurgents, and Riyadh described the latest missile as “Iranian-Huthi”. An AFP correspondent in Riyadh heard a loud explosion at 1050 GMT, shortly before the scheduled unveiling of the Saudi budget, which is usually announced by the king from the Yamamah palace, his official residence. “The missile was aimed at populated residential areas in the Riyadh area, and — thank God — was intercepted and destroyed south of Riyadh without any casualties,” the official Saudi Press Agency quoted a spokesman for the Saudi-led coalition against the Huthis as saying. Trump on verge of tax victory as US Senate passes overhaul, The US Senate narrowly approved a sweeping tax overhaul early Wednesday, putting President Donald Trump on the brink of his first major legislative triumph nearly a year after he took office. Hours earlier, Trump’s $1.5 trillion deficit-busting tax cuts cleared the House of Representatives, but a rare last-minute snag over parliamentary rules will force the lower chamber to vote on the updated package once again Wednesday. The deepest rewrite of the tax code in three decades provides dramatic tax breaks to US corporations, and families at all incomes levels will see their income tax drop starting next year, with the largest benefits going to the wealthy. Mexico to recognize Honduran president winner of the disputed election, Mexico is poised to recognise Honduran President Juan Orlando Hernandez as the winner of last month’s election, according to a draft foreign ministry statement seen by Reuters, just days after the Organisation of American States called for a fresh vote to dispel widespread allegations of fraud. Mexico’s announcement was brokered in coordination with the US, two sources who spoke on condition of anonymity said. The presidents of Guatemala and Colombia had recognized Hernandez, a staunch US ally.